(July 22, 2015, The Condor: Ornithological Applications)—Reintroducing a species into an area where it has vanished can be a great tool for conservation, but for reintroduction to be successful it’s crucial to understand how the habitat has changed in the interim and whether the reintroduced species will be able to thrive in its former home. Extirpated in the 1960s as a result of human activity, Bald Eagles (Haleiaeetus leucocephalus) have been reintroduced to California’s Channel Islands over the last 35 years. A study published this week in The Condor: Ornithological Applications examined the diets of these reestablished eagles in 2010 and 2011 to see how they compared to the diets of historical population. Like historical eagle populations, the reintroduced eagles in the Northern Channel Islands rely heavily on seabirds, according to authors Seth Newsome of the University of New Mexico, Paul Collins of the Santa Barbara Museum of Natural History, and Peter Sharpe of the Institute for Wildlife Studies. They also found that eagles on nearby Santa Catalina Island eat mostly fish, likely due to differences in human activity and a lack of seabird colonies on the island. The number of eagles currently nesting on the islands is still below historic levels, so this fledgling population likely has room to expand. Exploiting both historical food sources and new ones made available by human activity, Channel Islands eagles are a success story for ecosystem recovery. 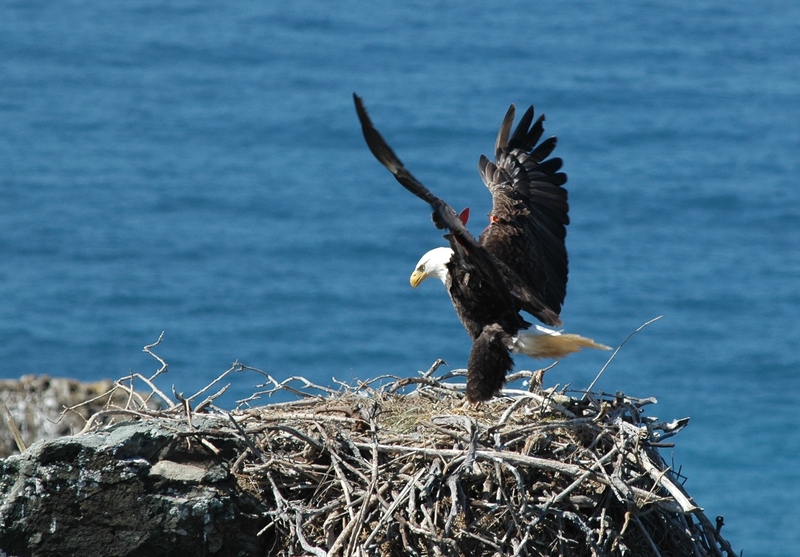 Foraging ecology of a reintroduced population of breeding Bald Eagles on the Channel Islands, California, USA, inferred from prey remains and stable isotope analysis is available at http://www.aoucospubs.org/doi/full/10.1650/CONDOR-14-213.1. Contact: Seth Newsome, newsome@unm.edu. Conservation Magazine – Bald Eagles Are Back, But What’s on Their Menu?